Burlington International Airport has added a display of 7-foot tall maple syrup jugs to remind travelers they can purchase the Vermont staple online instead of losing it at airport security. The Free Press reports the airport celebrated the installation of the syrup jugs Thursday. The jugs will be accompanied by 7-foot long block of cheddar cheese. Dakin Farms and Cabot Creamery sponsored the replicas. 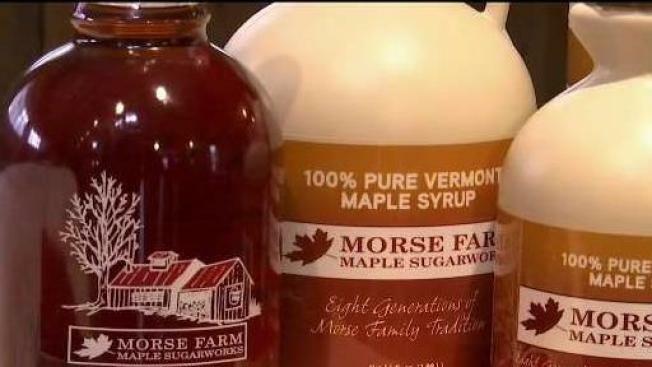 The companies are promoting an online website where people can have Vermont food shipped to their home in hopes that fewer travelers will have their maple syrup taken by airport security for being larger that the allotted 3.4 ounces. The replicas are not edible. An airport spokeswoman estimated that if the 150-gallon jugs were filled the maple syrup inside would be worth $10,500.